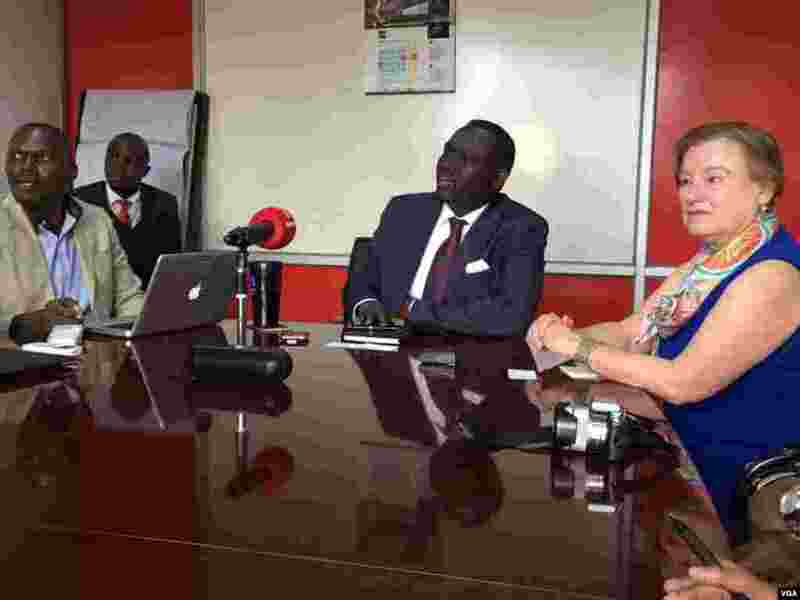 VOA Director Amanda Bennett visits East Africa to strengthen affiliate partnerships, to speak with journalists working in the region, to open the new VOA center in Mombasa, Kenya, and to visit with key VOA stakeholders. Check out the images below from her trip. 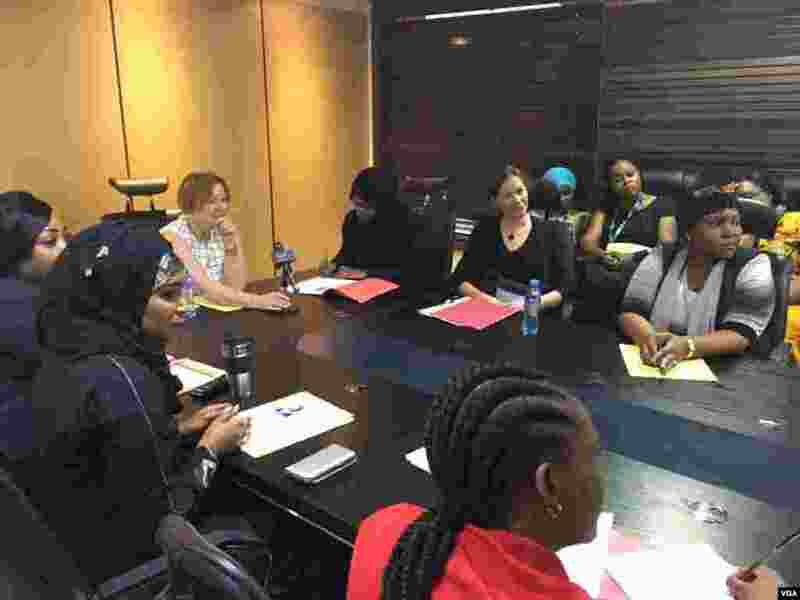 5 VOA Director Amanda Bennett speaking with female journalists from different media at Azam TV in Dar es salaam, Tanzania. 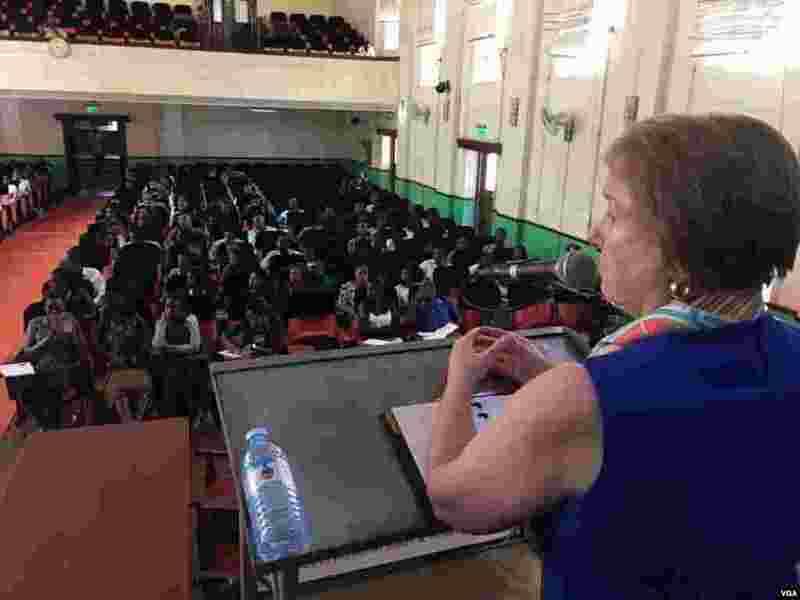 6 Journalism students at the famed #Makerere University in Kampala, Uganda, listen to VOA Director Amanda Bennett's speech. 7 VOA Director Amanda Bennett in talks with Uganda's NBS Television CEO, Kin Karisa in Kampala. 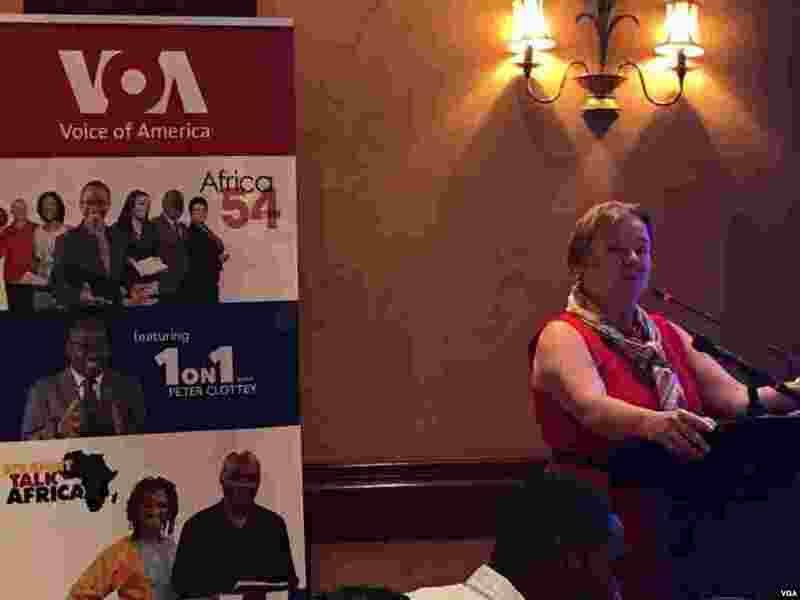 8 VOA Director Amanda Bennett giving a keynote speech at the VOA affiliate conference in Nairobi, Kenya.